Your winter motivation is here. Join our FREE Winter Warriors program to stay motivated during the cold months! Winter Warriors is back this year to keep you committed to running and walking through the winter months. We are here to help encourage, motivate, and support your activity while it's cold outside. We'll meet on Tuesdays at 6 pm and Saturdays at 8 am. 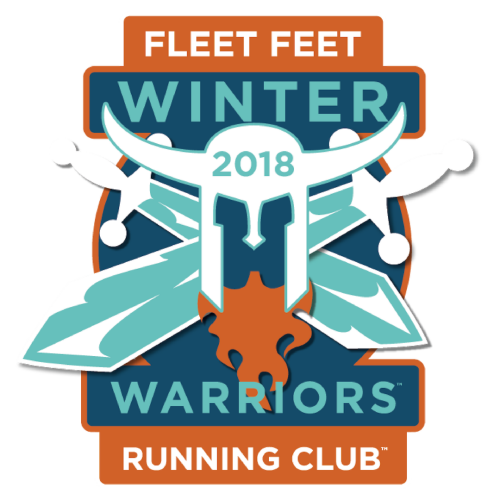 Points are earned per workout to earn the coveted Winter Warriors patch. Earn double points for special events (social run, pub runs, holiday runs). Distances will be 3-4 miles on Tuesdays and 4-8 miles on Saturdays. If you need to run shorter or longer distances, feel free! We're just here to keep the motivation high so you don't have to go at it alone! Description: We're here to keep you motivated during the cold months!